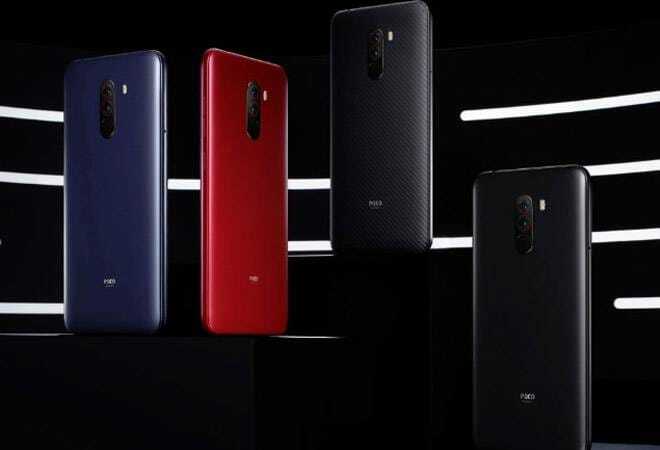 Xiaomi's Poco F1, which sports Snapdradon 845 Qualcomm chipset, is now on sale on the official websites of Xiaomi and Flipkart. Poco India's Twitter account announced the sale, saying "On public demand, POCO days are here once again! Grab POCOF1 6GB + 128GB at a special discounted price of 20,999..."
On public demand, POCO days are here once again! Grab #POCOF1 6GB + 128GB at a special discounted price of â‚¹20,999. Grab yours from https://t.co/DREiXVqBDe and @Flipkart. Poco, which was launched as a sub-brand of Xiaomi in August 2018, features flagship level specifications. It comes with the Snapdragon 845 SoC with 6GB of RAM. Apart from 64GB variant, the smartphone also comes with 128GB and 256GB storage options. Xiaomi also announced an Armoured Edition of the Poco F1 with 'Kevlar' back at Rs 29,999 last year. The 6GB RAM and 128GB storage versions of the Poco F1 will now retail at Rs 20,999 between April 11 to April 30. Consumers can avail the device at a discount at Flipkart and Mi platforms. The notched Poco F1 is a dual-SIM phone that was launched with MIUI 9.6 out-of-the-box based on Android 8.1. The handset features a 6.18-inch full-HD+ (1080x2246 pixels) display along with a 2.5D curved Gorilla Glass 3 protection. The smartphone has a dual rear camera setup along with a 12-MP primary sensor along with a 1.4-micron pixel size and dual-pixel autofocus and a 5-MP secondary sensor. At the front, there is a 20-MP camera along with HDR and AI Beautify features. The smartphone also has an IR light that helps in the Face Unlock feature. Connectivity options of the handset include 3.5mm jack, 4G+ Dual LTE, dual-band Wi-Fi 802.11 a/b/g/n/ac, Wi-Fi Direct, Miracast, Bluetooth 5.0, IR emitter, USB Type-C port.